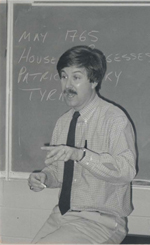 In the fall of 2002, the Sayre School Board of Trustees unanimously approved endowing and renaming the nationally recognized program known as the David A. Sayre History Symposium to honor its founder and director from 1985 - 2002, F. Kevin Simon. Kevin’s vision for the History Symposium was to enhance teacher awareness of American history and to foster a heightened atmosphere of collegiality among history teachers. 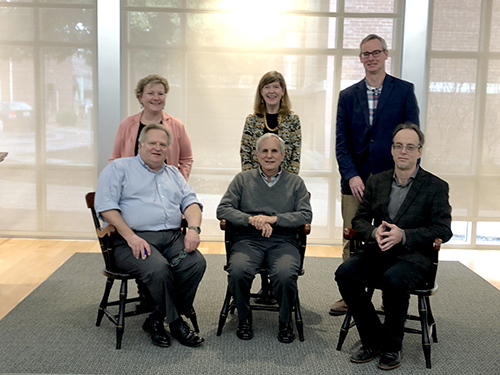 Teachers have a unique opportunity to personally meet noted historians whose scholarly expertise is matched by their commitment to the teaching of history at the secondary level. In 2002, the symposium was named in memory and honor of its founder and director, F. Kevin Simon. According to Head of School Stephen Manella, "Imagine a professional development experience that intertwines scholarly expertise, colleagiality, and intellectual stimulation all at no cost to the participants. That is Sayre's F. Kevin Simon Symposium and for nearly three decades secondary level history teachers from Kentucky, Tennessee and Indiana have benefited from this unique program."